Straw-like textured hair can be quite difficult to work with as well as disappointing. This does not mean that your good hair days are in the past. A good trim can do you wonders. You do not have to get a very short cut as most of the time the hair at the end of your hair strands carry the most damage while the new growth at the bottom is quite healthy. In case you are brave enough, a short bob or pixie cut would be great too. 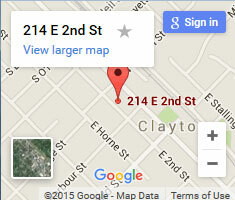 Book an appointment with hair salon Clayton NC expert, Kristty, to learn more about professional hair care. When your hair is damaged, heating devices like curling irons, blow dryers and straightening irons are a big no no. Try to stay away from heat as much as possible. You can air-dry your hair or go to bed with rollers in your hair to get curl definition without unnecessary heat. In case you have to use heat to style your hair, use a heat protector product before. Extremely damaged hair will only get worse from chemicals and hair colors. The hair is likely to become more brittle and start breaking. Hair color often contains harsh bleaches that can lead to hair loss. Try temporary smoothing formulas instead of chemicals such as strong setting lotions. Using the correct shampoos and conditioners is also important when restoring damaged hair. Avoid shampoos and conditioners with sulphates. Preferably, go for hair products that contain natural oils and herbs, which penetrate deep into the hair shaft to keep it moisturized and restore elasticity. Shampooing too frequently can strip damaged hair of the naturally produced oils. Keep your washes to not more than twice a week and using lukewarm to wash and cold water to rinse. The cold water closes the hair cuticles. Using clarifying shampoo can help to reduce product build up and hard water deposits, which also damages hair? Clarifying shampoo treatment should be only once or twice a month. Look for hydrating treatments and treatment masks for damaged hair. They often have moisturizing and restorative ingredients like keratin, protein, olive oil or shea butter. For more hair care tips, check out more of our blog posts here.